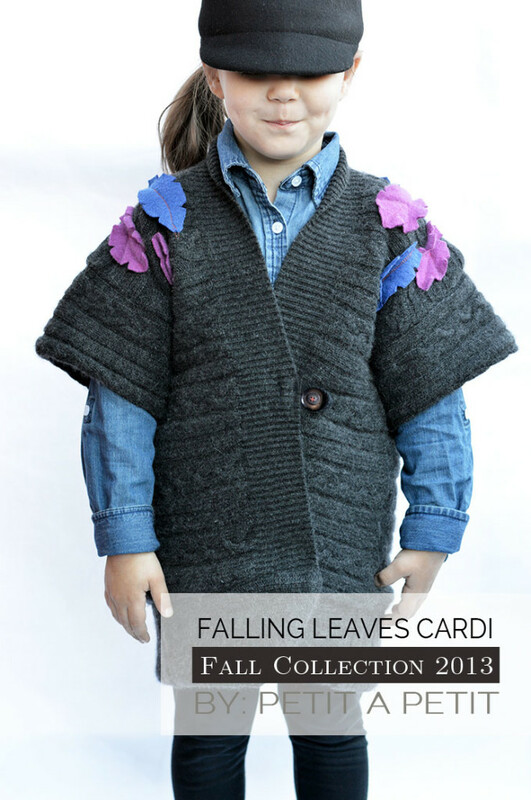 Jess Abbot at “Sewing Rabbit” has posted a tutorial on upcycling an old sweater to a kid’s cardigan. It’s a great way to get new life out of an adult garment that has shrunk or no longer fits. The design features a boxy, kimono shape for added comfort. 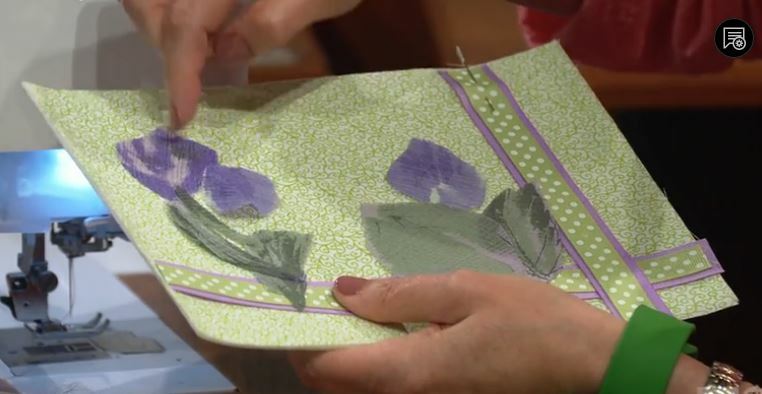 Nancy Ziemann at “Sewing With Nancy” has provided a video on doodling on your sewing machine. It uses basic sewing techniques and fabric scraps. HTC Trans-Web, 4000-7, http://www.htc-retail.com/product-info.php?pid39.html , is a fusible interfacing that allows accurate tracing, making it perfect for a project like this. 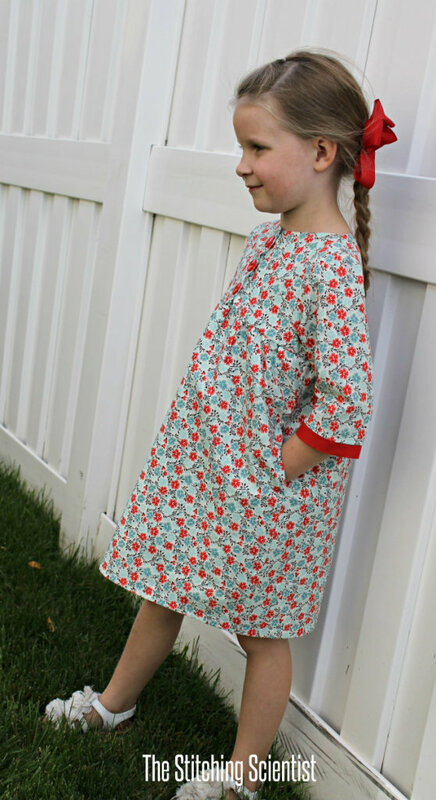 Remona at the “Stitching Scientist” is offering a free dress pattern and tutorial for a Brooklyn Empire Dress. The project comes with an optional pocket pattern, which adds a nice girly touch. It is super easy to create and can be done in any size. The dress is completely lined, which makes it warmer for colder weather. HTC Fusi-Knit, 1300-1, http://www.htc-retail.com/product-info.php?pid7.html , is a fusible underlining, lightweight with lengthwise stability and crosswise stretch, with soft support and no excess stretching, that is machine washable, making it perfect for a project like this. The Wayne Art Center in Wayne, Pa., announces the Art Quilt Elements Contest. To be eligible, submit innovative and original designs completed after January 1, 2016. All entries must be submitted by October 6, 2017. Amber at “Crazy Little Projects” has posted a tutorial to make a personalized kids’ messenger bag just in time for back to school. A video supplements the tutorial. There also is a separate tutorial on how to personalize it. HTC Fusible Fleece, 9720-1, http://www.htc-retail.com/product-info.php?pid22.html , is a fusible, needle-punched fleece for interlining, padding quilting and crafts that is machine washable, dry cleanable and dryer safe, making it perfect for a project like this. Excel London, the UK’s largest new dressmaking and sewing event, announces “The Great British Sewing Bee Comes Alive,” September 21-24, 2017. 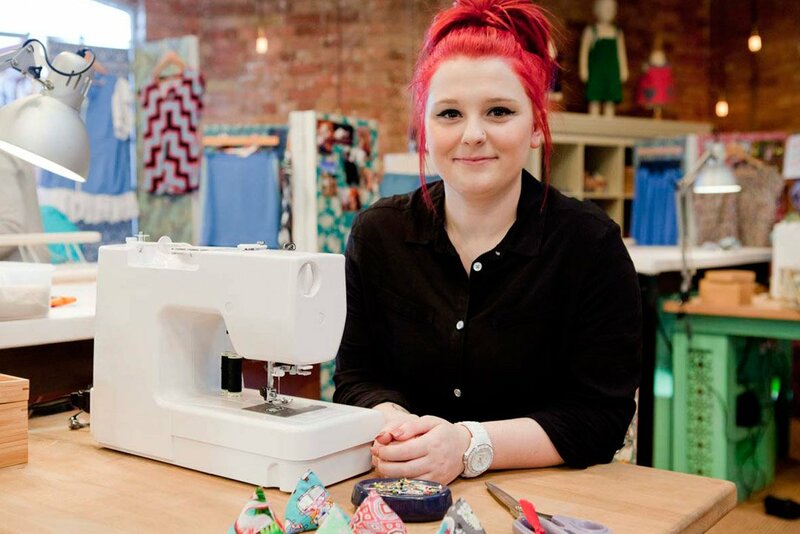 This event features contestants from past episodes of the popular show “The Great British Sewing Bee,” which will be hosting workshops throughout the show. 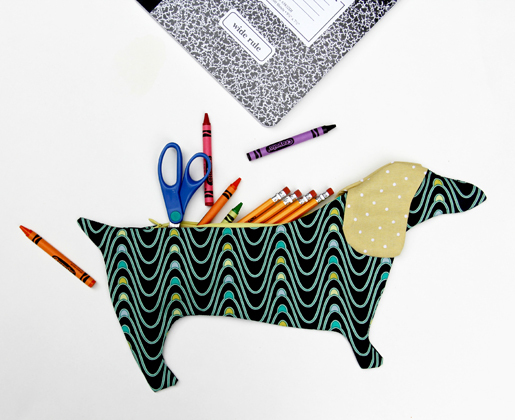 Jessica Abbott at “We All Sew” has provided a Dachshund Pencil Case project. It’s perfect for back-to-school season for storing pencils, pens, erasers and more. If you prefer a different animal, it can easily be customized to whatever creature you prefer. HTC Sheer D’Light Light Weight, 2102-7, http://www.htc-retail.com/product-info.php?pid17.html , is a lightweight stabilizer that is machine washable and dry cleanable, making it perfect for a project like this.